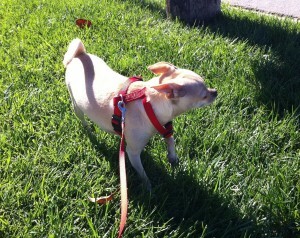 Taking your little Chihuahua on a walk around your neighborhood is not without it’s hazards. I have a lot of work to do when I go for a walk, such as controlling a large human on a string. I also have to catalog various new smells along the way and spread my essence to mark my territory. It’s tough and time consuming. I can’t just walk all willy-nilly. In addition, I must constantly be aware of squirrels, cats, people walking dogs on leashes, UPS and FedEx trucks, mailmen, garbage trucks and cars. Oy. But one of the biggest hazards of all is, I must beware of dogs without leashes. 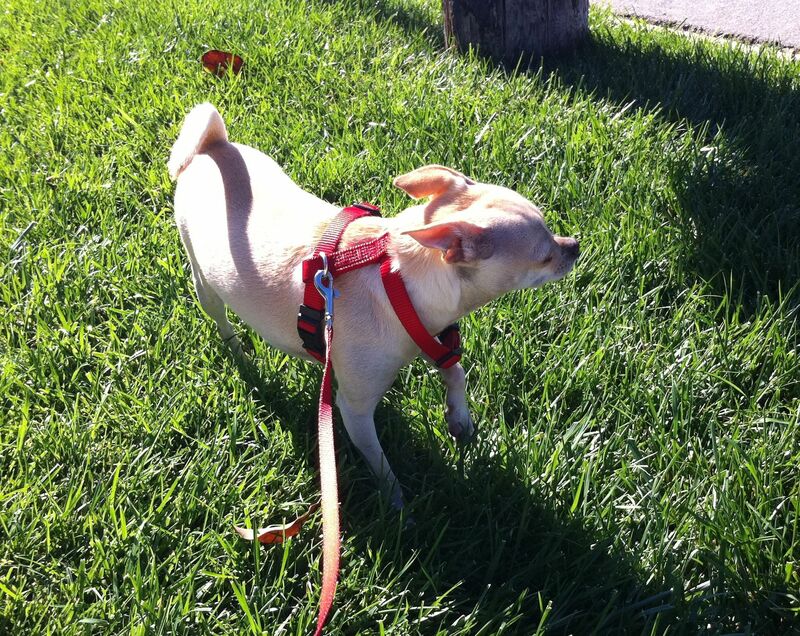 Some people feel they have the right to keep their dogs leash free when on or near their own, unfenced property. I have heard over and over how friendly their dog is. But what if your dog isn’t. And if another dog bounces over to your dog, and your dog attacks, then who’s to blame? We Chihuahuas are very protective of our human companions. We also want to protect ourselves. We don’t always know that a dog is friendly. We just see a threat coming our way and we react. So please keep your pets on a leash. And if you must tie them up outside, make sure they can’t reach the sidewalk where people may be walking by. Check your local state for it’s leash laws. I go by California’s leash laws. By the way, it’s best to use a harness on your small dog. You don’t want to risk choking them. And in an emergency you can pick up your dog by the harness without fear of strangling them.